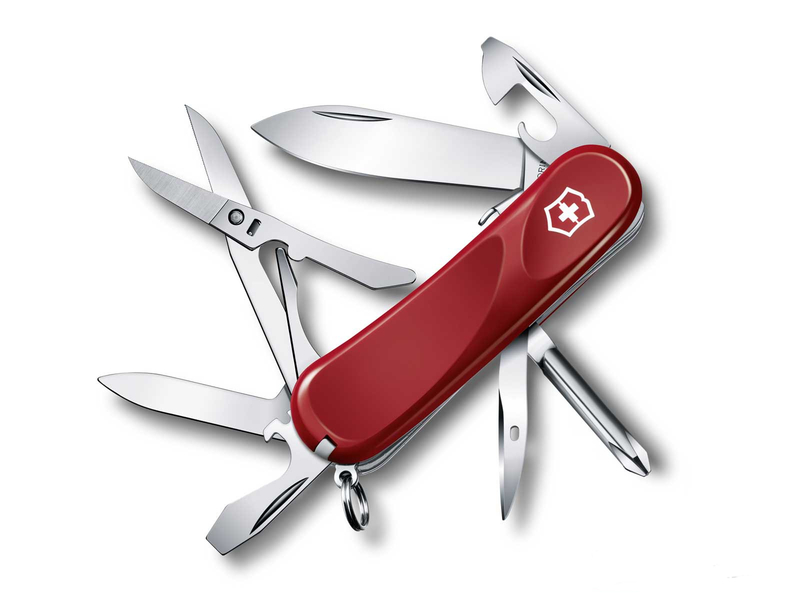 The Evolution S16 Lockblade Swiss Army Knife, part of the Victorinox Delemont Collection, features a 2.5-inch blade as well as 10 other implements, and performs a total of 14 functions. The ergonomic handles of the Evolution S16 feature concave and convex contact points perfectly designed for the human hand. Hold one, and you'll understand.